Jeep Grand Cherokee Updated For 2017. | | A Wheel Thing. Jeep Grand Cherokee Updated For 2017. The updated Jeep Grand Cherokee range has arrived in Australia, bringing a fresh new look and increased performance, safety and equipment levels to the world’s most awarded SUV. 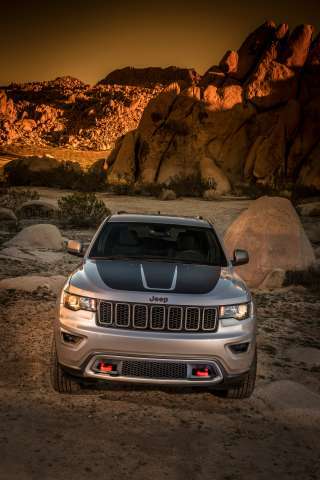 The refreshed range also welcomes the toughest Grand Cherokee ever to Australia in the form of the mighty Trailhawk. Pricing for the updated Grand Cherokee range kicks off at $47,500 for the value-packed Laredo to $91,000 for the SRT performance champ. These updates not only increase the Grand Cherokee’s breadth of capabilities – from the performance-focused, V8-powered SRT to the all-terrain-conquering Trailhawk – they also make this Grand Cherokee the most technically advanced ever. The new range stretches from the value-packed Laredo and leather-lined Limited to the adventure-ready Trailhawk, luxury Overland and high-performance SRT powered by a 344kW Hemi V8 engine. All-new to Australia, the rugged Grand Cherokee Trailhawk model, priced from $74,000, takes Jeep’s offroad reputation and capabilities to new heights. 3.0-litre turbodiesel V6 mated to Jeep’s proven 8-speed automatic transmission. The Trailhawk utilises Jeep’s acclaimed Quadra-Drive II 4×4 system, complete with an electronic limited slip rear differential for even greater traction. This, combined with a unique tune for the Quadra-Lift air suspension, improves the Trailhawk’s wheel articulation and increases ground clearance to 260mm, the most ever in a Jeep Grand Cherokee. The addition of four sturdy underbody skid plates endows the Grand Cherokee Trailhawk with supreme offroad prowess befitting a marque that has been producing all-terrain vehicles for more than 75 years, and is the only automotive brand to be awarded the Purple Heart for distinguished service during WWII. Red front tow hooks complete the Trailhawk’s offroad enhancements, and combine with a distinctive matte black bonnet decal, and neutral grey mirrors and grille, to give the Trailhawk its distinctive look. 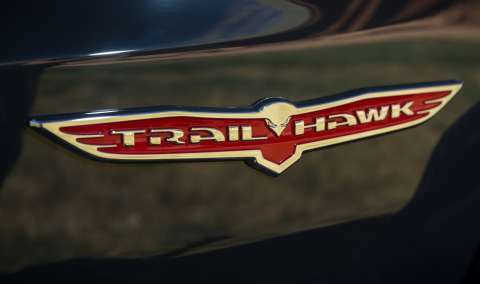 All Grand Cherokee models sport a slimmer version of the trademark seven slot grille, a design element that has featured on every Jeep model since the Willys original. Reinforcing its class-leading offroad performance, the Grand Cherokee Trailhawk has new Offroad Pages housed within the 8.4-inch Uconnect touchscreen. Jeep Offroad Pages are included in all updated 4×4 Grand Cherokee models – except the SRT performance flagship which retains SRT Performance Pages – one of many detail changes that cement Jeep’s flagship range as luxurious and comfortable on-road and rugged and capable offroad. Major visual updates to the exterior include a new grille and headlamps, new front fascia and new LED fog lamps. A fresh selection of 18 and 20-inch wheels and a choice of six new exterior colours – for a total of 11 – complete the Grand Cherokee’s visual makeover. Inside, the Jeep Grand Cherokee gets a new ergonomically designed gear selector that falls to hand more naturally and is more intuitive to use. The fitment of an acoustic windscreen and front door glass across the updated range improves the Grand Cherokee’s already impressive in-cabin refinement. Towing capability continues to match or better larger, more expensive vehicles with a maximum braked towing capacity of 3,500kg. Owners can also now keep an eye on trailers or loads with the new Rear Trailer Hitch Camera View. Revisions to the 3.6-litre Pentastar V6 have increased power to 213kW. Fuel economy has improved by up to four percent, in part due to the implementation of a stop-start system that reduces consumption in urban areas. 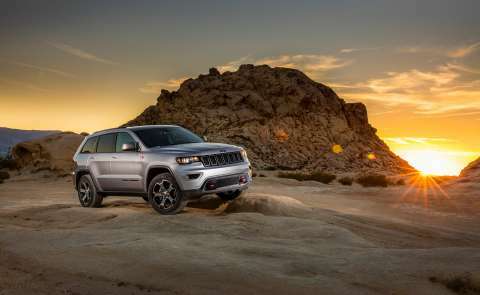 The updated Grand Cherokee also gets many engineering changes that improve efficiency, including an electric power steering system and Eco Mode as part of the standard eight-speed automatic transmission. A new Gen II transmission has been developed for both the 4×2 Pentastar and 4×4 EcoDiesel. As well as shift quality and driveability improvements, the lubrication system has been optimised, creating less drag on the clutches and further improving durability. The updated Jeep Grand Cherokee range goes on-sale March 2017. All new Jeep models, including the updated Grand Cherokee range, are covered by Jeep’s comprehensive There & Back Guarantee, which includes a five-year transferable manufacturer warranty, lifetime roadside assistance and capped price servicing when serviced within Jeep’s 99-strong national dealer network. Be the first to comment on "Jeep Grand Cherokee Updated For 2017."